23 December - In the first Pittsburgh Steelers playoff game in 25 years (and the franchises first playoff win), rookie Franco Harris salvages and converts into a touchdown a final seconds Terry Bradshaw incomplete pass in what has been called the greatest play in NFL history—The Immaculate Reception—to beat the Oakland Raiders 13-7. West Germany beat the Soviet Union 3–0 to win the European Championship. 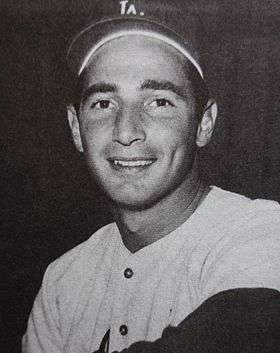 19 January – The BBWAA elects Sandy Koufax (344 votes), Yogi Berra (339), and Early Wynn (301) to the Hall of Fame. Sparky Lyle saves 35 games for the New York Yankees, breaking Ron Perranoski's 1970 records for AL pitchers and left-handers. Lyle also becomes the first left-hander to save 100 career games in the American League. World Series – Oakland Athletics win their first World Championship since the team was based in Philadelphia in 1930, and sixth in franchise history, by defeating the Cincinnati Reds, 4 games to 3. 31 December – The Pittsburgh Pirates' legendary right fielder Roberto Clemente dies in a plane crash near Puerto Rico on his way to bring relief supplies to Nicaraguan earthquake victims. UCLA wins 81–76 over Florida St.
26 June – Roberto Durán stopped Ken Buchanan in the thirteenth round to win the WBA Lightweight Championship. The European Tour begins its first season of competition. 21 September – Strike Out became the first Canadian owned harness racing horse to ever win the Little Brown Jug. World Hockey Association (WHA)'s first season. This new league signed several of the top NHL stars including Bobby Hull and Derek Sanderson. 28 September – Paul Henderson scored the "goal of the century" to give Canada the win in the Summit Series, the first ever Canada versus the Soviet Union hockey showdown. The Long Branch P.C.O. 's win the first Founders Cup. The New Westminster Salmonbellies win the Mann Cup. The Peterborough PCO's win the Minto Cup. Formula One – Emerson Fittipaldi (Brazil) wins World Drivers' Champion, driving a Lotus 72D-Cosworth. Drag racing – Don Moody wins Top Fuel at the Supernats. Davis Cup – United States wins 3–2 over Romania in world tennis.